Retro football-inspired track pants made of tricot. Ignited by the flame of football. 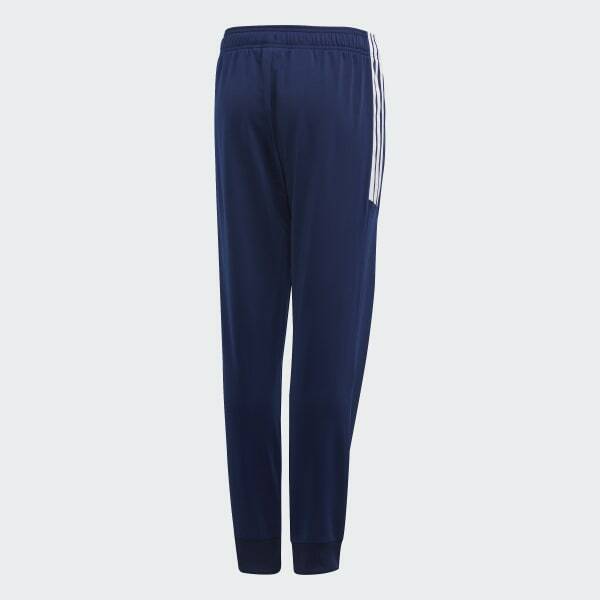 These junior boys' track pants mirror the adult version. The Flamestrike stitch designs are inspired by '90s and '00s pieces for a retro vibe. They're made with the signature sheen of an all-recycled polyester tricot.